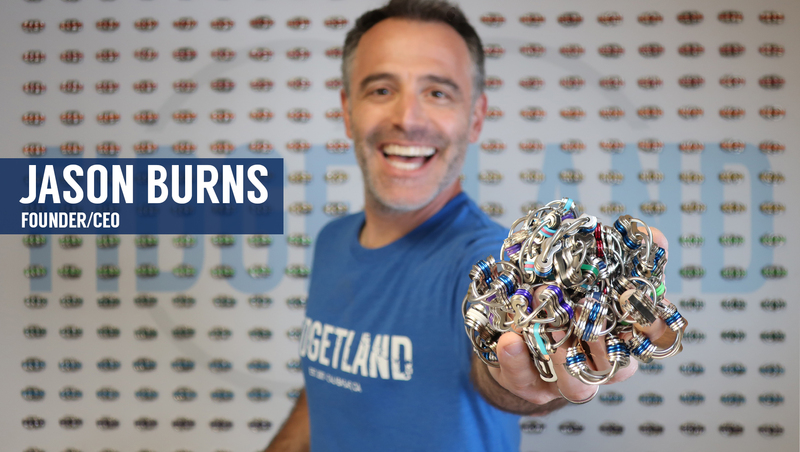 I created fidgetland.com, (formerly Fidget Man) after learning that the fidgets I was making and using for my attention deficit disorder could help other people who also have the need to fidget. I would use anything I could get my hands on to fidget; bottle caps, paper clips, straw wrappers, small pieces of paper, anything, it didn’t matter. I searched the internet for suitable fidgets that weren’t big, bright and/or intended for kids–but I found nothing. So I decided to make my own. After countless prototypes comprised of different rings, links and everything else I tried using, I finally had it. A functional fluid moving fidget that I would be comfortable using in a meeting and carrying with me everywhere I went, I named it NOAH after my son. Soon after that I added ELLIE (named after my daughter) CHANEY and the LITTLE FELLA to the product line. I started selling my fidgets via my own website fidgetman.com and quickly began getting emails from parents whose children had ADHD, Autism, ASD, or suffered from learning disabilities, anxiety, nail biting, hair twirling and other disorders. The emails were so moving and unexpected, to think that my fidgets were actually helping to change and improve lives, it was amazing! My fidgets were helping kids focus, improving grades, getting kids to stop biting their nails and even adults to quit smoking. I was so inspired that I created fidgettoysz.com with the sole purpose of helping people, people who need to fidget for whatever reason. So if you are a fidgeter or a parent, spouse, friend of a fidgeter, we’ve got your back.